The middle class resort offers a varied and friendly service. 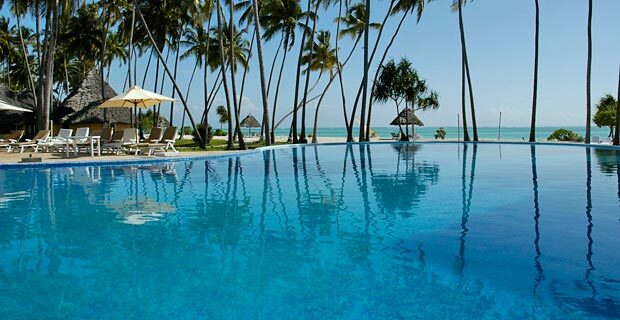 The beautiful gardens, surrounded by big palm trees, offer a magnificent view over the crystal clear Indian Ocean. 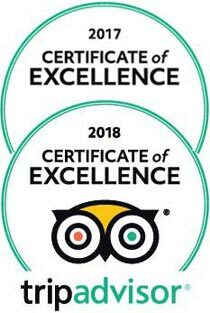 Its beautiful surroundings are what give the hotel its charm, thus they take great measures to take care of the environment and preserve it for future generations. 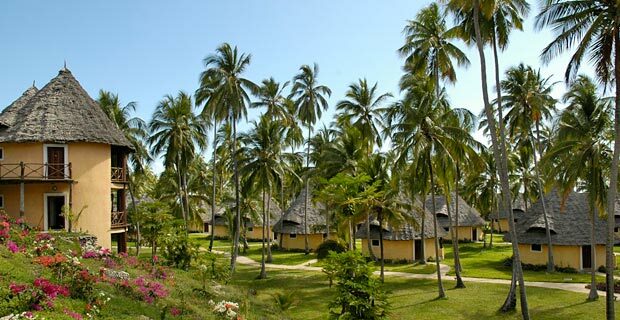 The resort lies nestled in a natural palm grove, along the beautiful beach of Zanzibar’s north-east coast only an hour’s drive away from Stone Town and the airport. Directly situated on the coastline, the large swimming pool almost appears like a lagoon flowing towards the ocean. A sun deck surrounds the pool and you can refresh yourself with some cool drinks and other delicacies at the pool bar. 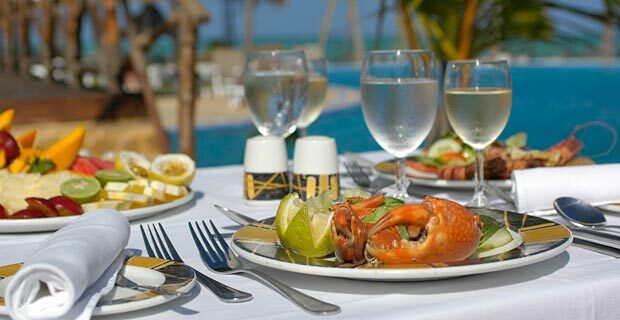 The Bahari Lounge is perfect for enjoying a nice sundowner and the Jahazi Restaurant, with its pool view, offers fresh sea food. 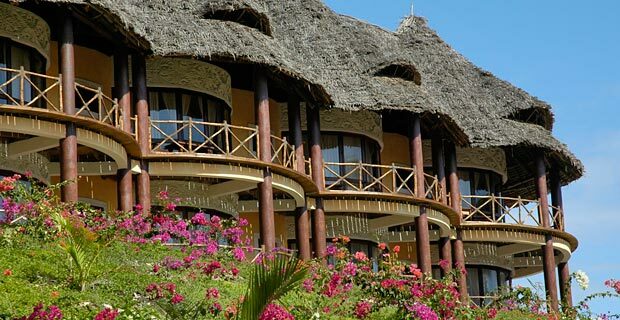 The main restaurant lies higher up and has a panoramic view of the paradisiacal landscape, offering breakfast and evening buffet, which changes daily. Fresh grilled fish garnished with exotic fruits can be enjoyed in the barbeque. Alongside a souvenir shop, Kid’s Club and a business centre, the resort also offers a fitness- and water sports centre for the more active guests. 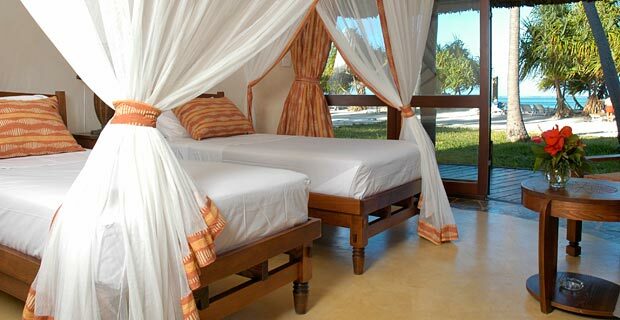 The rooms are furnished with all natural materials in an East African style and are situated a comfortable distance from each other. The amenities of this modern hotel include air-conditioning, shower and toilet, satellite TV, telephone, ceiling fan, mosquito net, minibar and hairdryer. 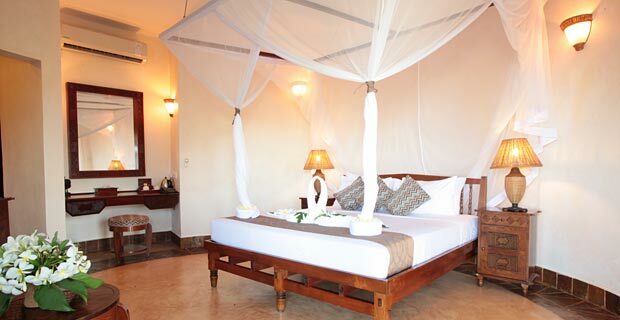 The eight suites comprise of two rooms and additionally have a king-size bed and small lounge. Included in the price are activities such as table tennis, volley ball, water gymnastics, archery, use of the fitness centre, canoeing and billiards. 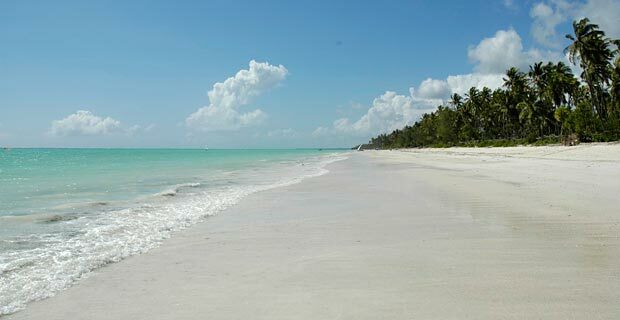 At an additional cost the hotel also offers diving (PADI), catamaran sailing, wind surfing, snorkelling gear and massages.